Let us get this out of the way now in case there was any confusion. 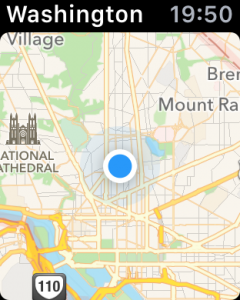 Apple Maps has come a long way since its horrible début a few years ago. That said, it is not anywhere as good as Google Maps. Unfortunately Apple Watch users such as myself have had no choice but to use Apple Maps. That changed today. 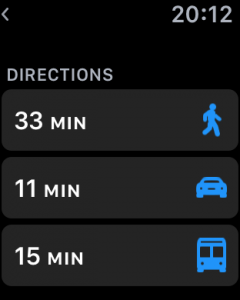 The update to the Google Maps on the AppStore included a lot of new features and more importantly full Apple Watch support. A force press gives you search, contacts and Metro. You can search by dictation, recent search or favorites already saved on your google account. Contacts are direct from your Google contacts. 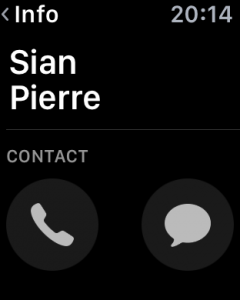 A pretty cool feature is that you can also call or text the person from there. 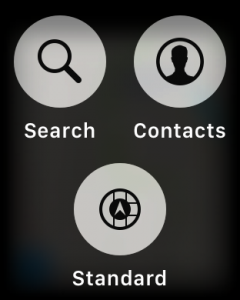 This is a way quicker way than using the contact book already on the Apple Watch. Once you have the location of where you want to go. 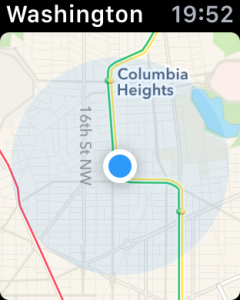 You can choose navigation options of walking, driving, and transit. The directions work as expected for Google Map. 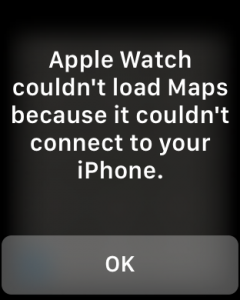 With Watch OS2 it would have been nice to see Google Maps take advantage of complications so it could work without the need for the phone.